Big thanks to Greg aka 'Flycasual' for these pictures of the POCH Luke Farmboy variant. Noticeable pale hands in the figure. Hi Jeff, I picked this up in France but the erased bar does not look like the one you had. Can you confirm this as the meccano luke ? The figure is very beautiful and I found it in a lot, there was also a saber with the figure. Do you know if there is a meccano saber ? Jeff I can only see you have a meccano coo but I can't see a picture of the figure ? 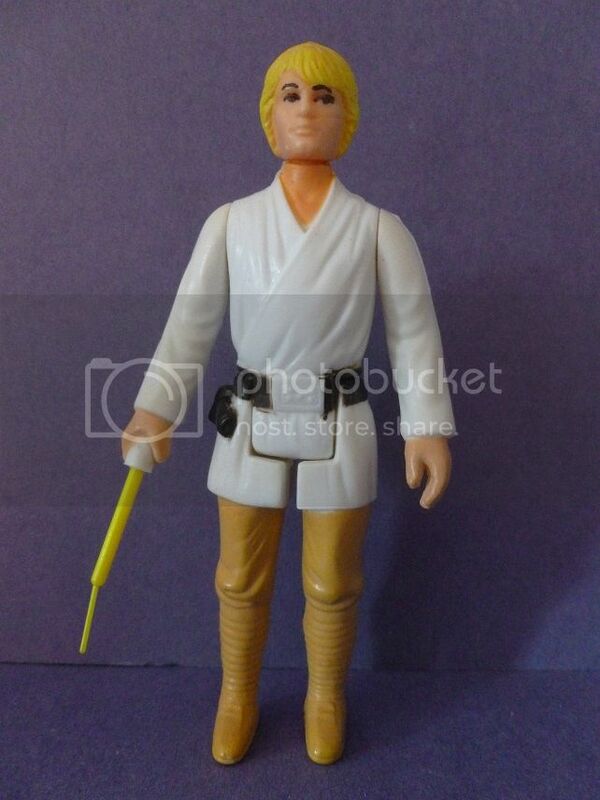 Nice Luke Farmboy Figure there you picked up! In relation to the leg markings it is different to any i had. In this first photo i have my Meccano Glasslite and your figure. Some noticeable difference between the three. Next i have the second Glasslite figure i picked up. Date down. Again some differences. I reckon it's a Meccano figure, given the provenance in France etc. But it is a marking i haven't seen ! With regards to a specific Meccano saber, I'm not 100% sure on this, sorry. Hope that this helps somewhat. 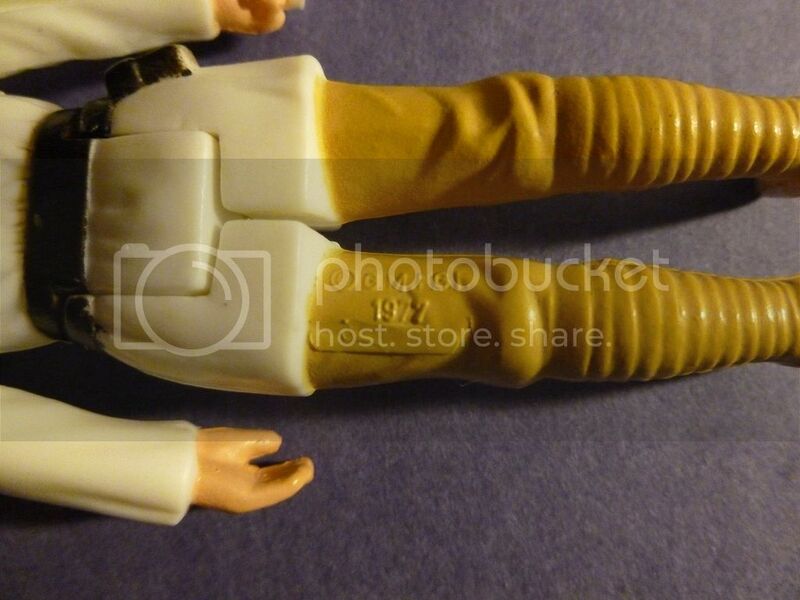 Thanks Jeff, do you want more pictures of the figure or maybe the saber there was with the figure ? Yeah, some more pictures of the figure and saber would be great. The saber I had looks like one of the early bird sabers. A lighter yellow colour? Dublinjeff wrote: Yeah, some more pictures of the figure and saber would be great. The saber I had looks like one of the early bird sabers. A lighter yellow colour? Do you think about the sabers with letters on ? 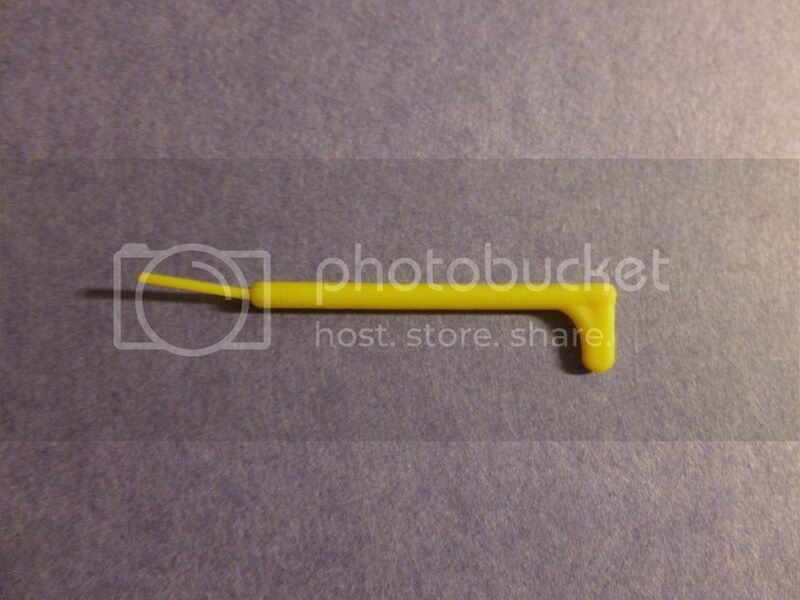 here is a picture of the saber there was on the figure, I can't confirm if this is the correct saber for the figure. But found the figure in a lot and I did not get it from a collector so I think the chance is good that it is the correct saber. I need some better sun light for pictures of the figure so I can first take some pictures of the figure in the weekend. What do you think about the saber ? need more pictures of the saber ? That saber looks 100% to me....i genuinely don't know if there was a Meccano specific saber? Dublinjeff wrote: That saber looks 100% to me....i genuinely don't know if there was a Meccano specific saber? Ok here is the picture of the meccano luke I found in France. Pomse2001 wrote: Ok here is the picture of the meccano luke I found in France.